Nikhil Prabhu and Akhil Rawat struck apiece to hand FC Pune City a comfortable 2-0 win over Aizawl FC at the Nagoa Ground in Goa today (February 6, 2019) to set a final date with Minerva Punjab FC. Nikhil Prabhu converted a low cross from left to send the FC Pune City dugout into delirium in the 22nd minute. 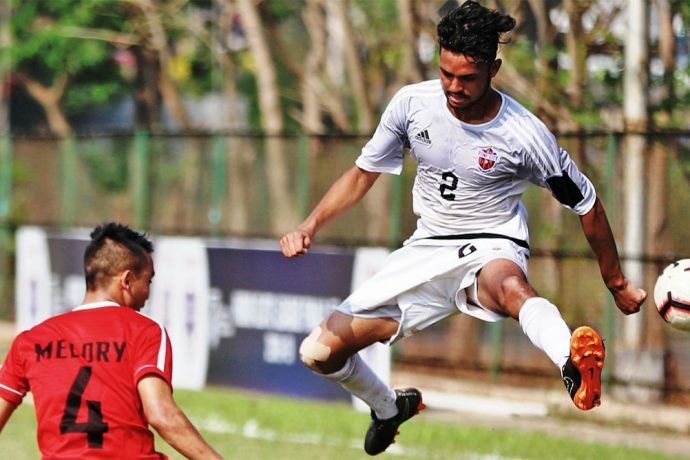 Akhil Rawat, who came as a substitution, nailed the final one in Aizawl FC’s coffin in the added time (90’+4′). The final is scheduled at the Don Bosco, Fatorda ground in Goa at 03:30 PM on Friday (February 8, 2019). Aizawl FC started on a positive note and could have opened the scoreline in the 7th minute of the match but Lalthanmawia could only hit the side-netting. Five minutes later, FC Pune City came agonisingly close to open the scoring but Lelsemba’s cross failed to find anyone inside the 6-yard box. The white-outfit did not need to wait long as Nikhil exploited the defender’s mistake to head it in from handshaking distance. After the changeover, they started to show more urgency to double the gap but the Reds were able to stave off the danger. At the hour-mark, Lelsemba put in an deft cross but it was too heavy for the onrushing Laldawngkima who failed to make a contact. Aizawl increased the pressure on their counterparts after 80 minutes and Lalthanmawia earned a crucial penalty for his team in the 86th minute too. But, to his team’s dismay, his right-footed shot could have only ricocheted the crossbar before the sturdy FC Pune City defenders cleared the danger. Aizawl were on the receiving end once again as goalkeeper Vannunmawia as given the marching orders in the added minutes for handling the ball outside the 18-yard box. Akhil Rawat tucked in calmly on the resulting freekick to take the game away from the Highlanders.